United Nations (United States) (AFP) - The United Nations is sending hundreds of extra peacekeepers and its first drones to the Central African Republic to bolster security ahead of elections next month, a UN official said Tuesday. The December 27 elections are shaping up as a test of the country's progress in its political transition after the bloodletting that followed the March 2013 coup. The new deployments may even be in place for a planned visit by Pope Francis to the troubled CAR on November 29-30, although security concerns may force the Vatican to scrap the trip. Egypt will be sending a battalion of 750 troops while 140 police from Mauritania are set to arrive before the elections, a UN official told reporters. 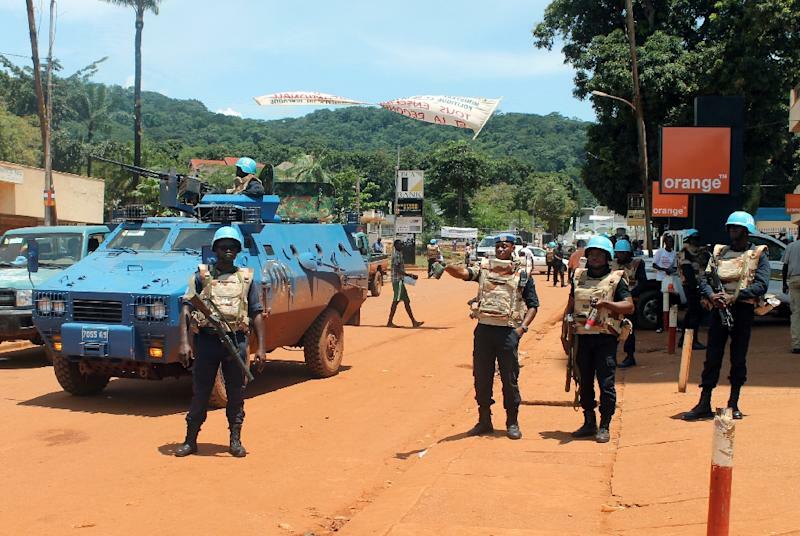 Two companies of peacekeepers serving in West Africa may be temporarily sent to CAR to bolster security after clashes led to the cancelation of the first round of voting in October. The new deployments would boost the strength of the current 12,000-strong UN peacekeeping MINUSCA mission by about 1,140 troops. MINUSCA is also planning to deploy its first surveillance drones over Bangui to better track potential trouble spots in the capital. UN officials have been in talks with the Vatican about security in the country. "The UN is in touch with the Vatican over the pope's visit," said the official, who asked not to be named. "The mission plans to have reinforcements to boost security for the elections. Some reinforcements should be in theater before the pope's visit." Separately, the head of the UN mission has asked the Security Council to allow purchases of weapons and equipment for the country's police and gendarmes. CAR has been under an international arms embargo since December 2013. UN officials have warned former presidents Francois Bozize, now in exile in Uganda, and Michel Djotodia, who lives in Benin, against meddling in the elections. The Central African Republic descended into bloodshed after the 2013 coup against Bozize, with Christian anti-balaka militias battling Muslim Seleka rebels then led by Djotodia. Djotodia was installed in power but stepped down in January 2014, making way for a transitional government that was to restore stability and pave the way for elections. In October, Bangui was wracked by an upsurge of violence that set back hopes that the country was on its way to a return to order.